Routers and hard drives might not be as glamorous as shiny new graphics cards, but they're nevertheless vital components in modern tech-filled life. Today, Amazon's making it cheaper than ever to upgrade the backbones of your computing experience with its one-day PC networking and storage saleRemove non-product link. The online retailer has some nice deals on external and internal storage, routers, and signal extenders, with record-low prices slapped on a lot of the gear. 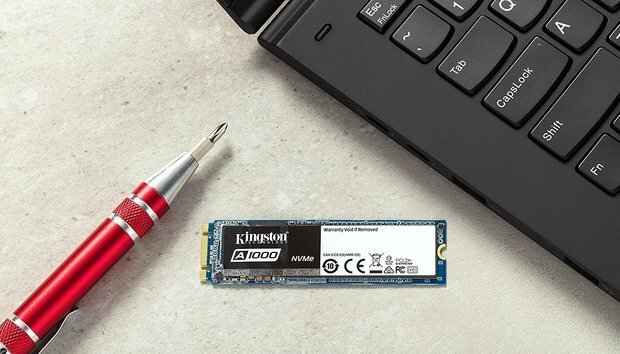 If you want to speed up your PC with a faster boot drive, take a look at the 240GB Kingston Digital A1000 SSD for $45. That's the lowest this drive's ever been and about $14 below its most recent price. This M.2 “gumstick” is rocking the speedy NVMe interface promising a hefty upgrade in performance over a SATA III drive--as long as your mobo supports the new interface, that is. Be sure to check out the guide to NVMe setups in our roundup of the best SSDs if you need more info. When Wi-Fi signal strength is your problem, you need a good set of Wi-Fi extenders. As part of the sale, a TP-Link AV1000 gigabit Powerline adapter kit is $60, or about $26 off its usual price. This is also the kit’s all-time low, and the first time it’s hit this price. You get two adapter units: One that gets plugged into the source router, and the other that gets placed in the area in your home that needs it. The units also come with gigabit Ethernet ports built-in. Several external hard drives are part of today’s sale, and one that we really like is the Seagate 8TB desktop external hard drive for $140. That’s a $40 drop in price from the usual $180, and the first time this drive has dropped this low. This looks to be a great backup drive without much in the way of thrills. It doesn't even come with Seagate backup software. It’s just 8TB of storage—exactly as an external hard drive should be.